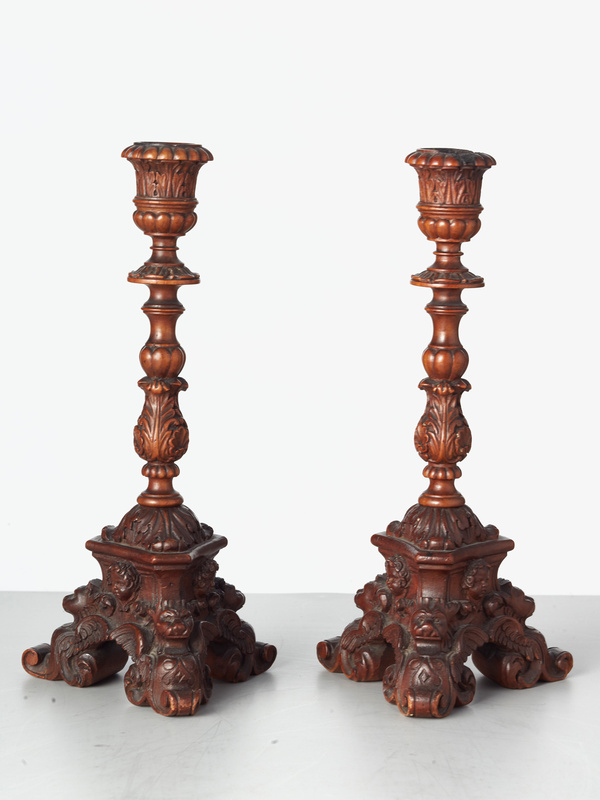 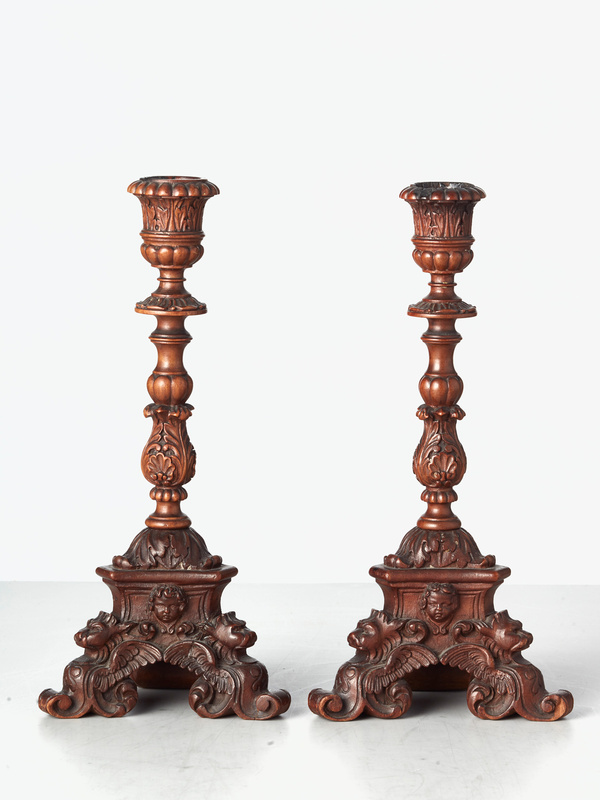 An interesting small (22cm) pair of neo-renaissance walnut single candlesticks, with very intricate woodcarving. 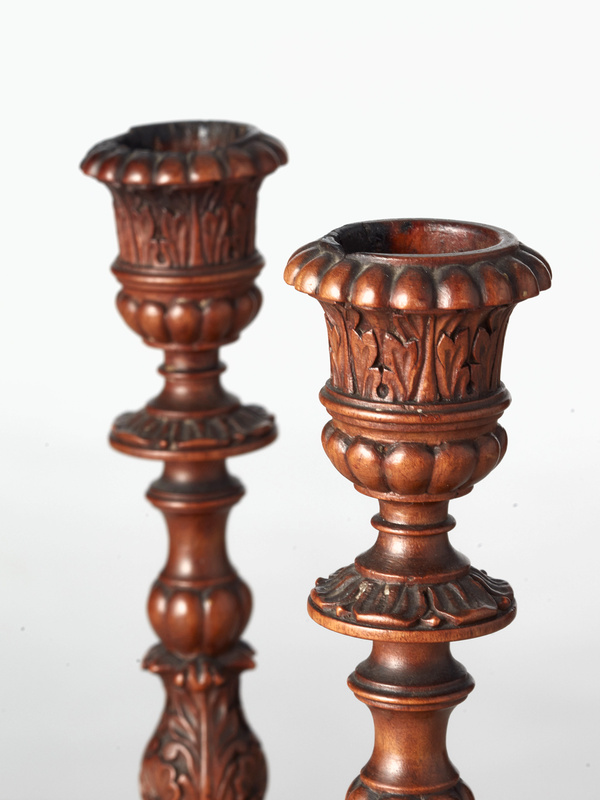 The lovely patina on the wood and the finely carved details make the pair very beautiful and collectable. 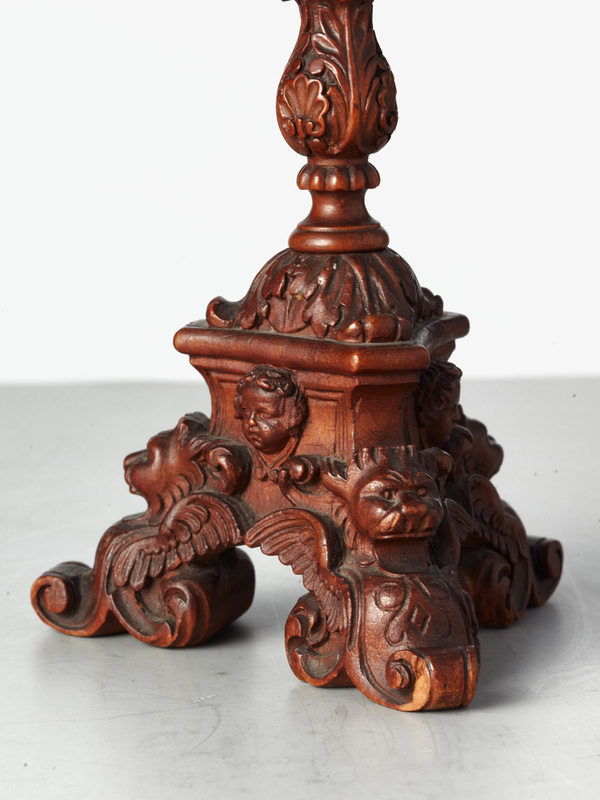 The triangular base with fantastic animal heads have great expressions. 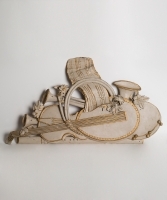 The ‘high baroque’ influence is clearly present. 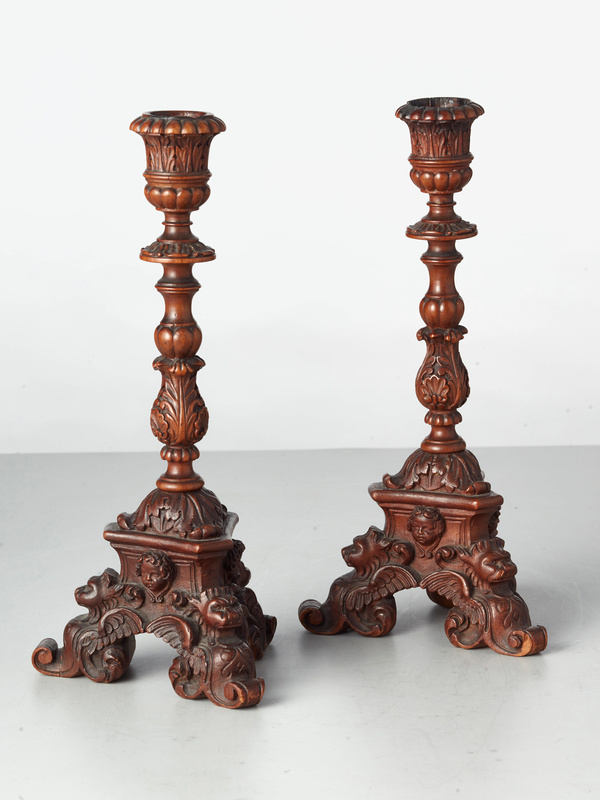 Small Dutch pedestal cupboard with drawer, oak.